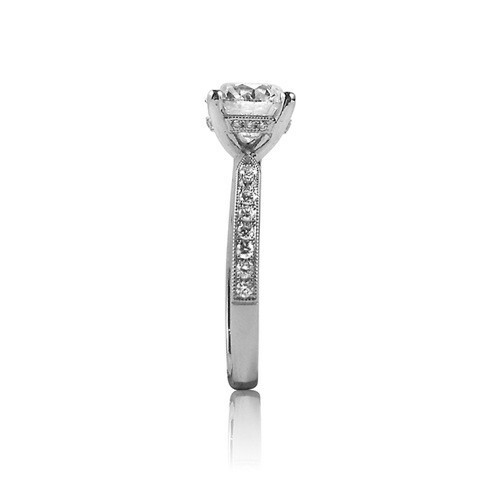 The solitaire diamond in this engagement ring is accented with diamonds that go down the side of the ring for a little extra sparkle. 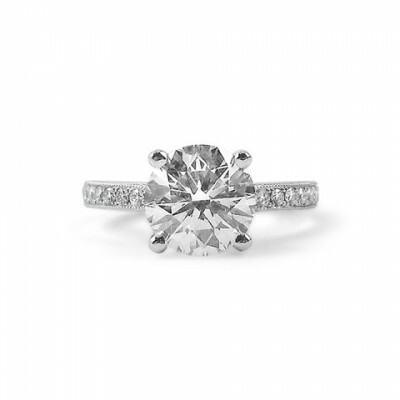 The tapered shank and milgrain (little bumps) along the shoulders of the ring give this ring an old-world, vintage feel. 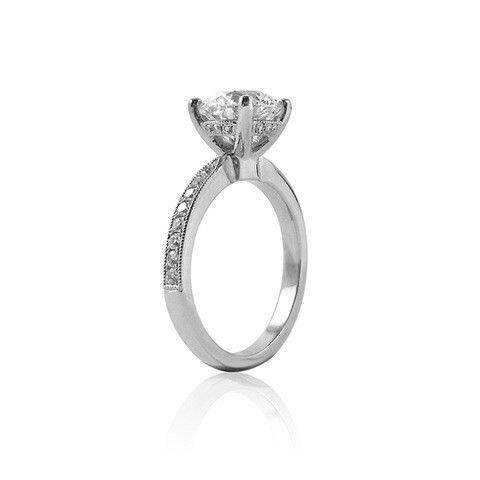 This style can be made in platinum, white gold, yellow gold or rose gold, with a centre diamond or with a sapphire or other coloured stone.